When you think about retiring, you probably envision the good times you can have during your active retirement years if you’ve saved up money. Indeed, your golden years can be among the best years of your life if you take the right steps to prepare for them. Let our nursing home lawyers help you prepare for the potential need for long-term care. One of the important pieces of the puzzle will be Medicare coverage. When you are paying FICA or self-employment taxes, you are earning retirement credits. You can accumulate up to four credits per year, and most people do because the requirements are modest. The age of eligibility is currently 65, but laws can always change. Some circles have suggested an increase in the age of Medicare eligibility to make the program more economically viable. This is a matter you should keep an eye on as you look ahead toward your retirement years. 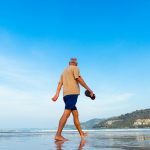 Medicare does not pay for everything in full, and this is something to consider when you are creating your retirement budget. Medicare Part A pays for inpatient care in a hospital. There is no monthly premium for this coverage, but there is a deductible each benefit period, and there are co-payments for long stays. Medicare Part B pays for visits to doctors and outpatient care. There is a monthly premium for this coverage. The prescription drug portion is Medicare Part D. You have to pay a premium for this coverage, and there are co-payments and often deductibles. It is possible to combine your Medicare coverage with private health insurance to cover some of the gaps through Medicare Part C — you would have to pay for this coverage. While Medicare covers many medical expenses, Medicare does not pay for custodial care at all. 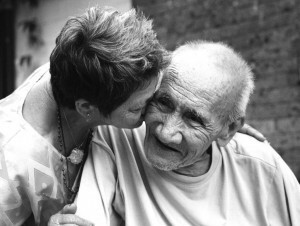 This is the care you would receive in a nursing home or assisted living community. This gap in coverage is important because most seniors will need living assistance at some point in time, and it is very expensive. However, if you take the appropriate legal steps in advance, you can potentially qualify for Medicaid. This is a government program that does pay for long-term care. Most people know you have to plan ahead for retirement because accumulating sufficient resources can take time. However, when you are thinking about retirement, you probably envision the active years, and you may overlook the twilight years. If you do not seek the advice of nursing home lawyers, you may not be as prepared as you need to be. When you are healthy, the concept of long-term care can seem alien to you. You could assume you will never need long-term care, but you should still be prepared. Long-term care is quite expensive, and Medicare will not help with these costs. Medicare will temporarily cover convalescent care in a nursing home, but it does not cover custodial care. You can protect assets as you prepare yourself for possible long-term care costs if you take steps that lead to Medicaid eligibility. As we mentioned above, this government health insurance program does pay for long-term care. There is a $2000 limit on countable assets for an individual, but some things are not countable, including your home (but watch out for Medicaid estate recovery). If you are married and you apply for Medicaid while your spouse is still capable of independent living, your spouse can often keep half of the assets that are considered to be countable. This is called the Community Spouse Resource Allowance. The maximum Community Spouse Resource Allowance in North Carolina during the current calendar year is $120,900, and the minimum is $24,180. Often, the spouse living independently can preserve significantly more assets through proper planning. 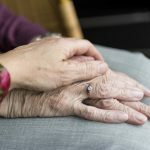 While some planning involves transferring assets five years before applying for Medicaid assistance, including transfers to irrevocable trusts, some options may still be available even if a loved one is currently in nursing home care. Make sure to talk with an elder law attorney about your options as early in the process as possible — that’s when you have the most options. Join us for a FREE seminar today! 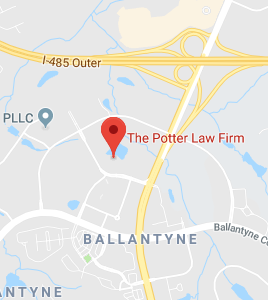 If you have questions regarding nursing homes, long-term care or any other retirement planning matters, please contact the experienced attorneys at The Potter Law Firm for a consultation. You can contact us either online or by calling us at (704) 944-3245 (Charlotte, NC or Huntersville, NC) or for individuals in Kentucky at (606) 324-5516 (Ashland, KY) or at (859) 372-6655 (Florence, KY).